Business students at Arizona State University (ASU) can now earn course credits while living in Silicon Valley and receiving mentorship from business tycoons like Elon Musk and Aaron Levie. Though the “Semester in Silicon Valley” program, 80 ASU students will earn 15 ASU college credits (and a certificate of entrepreneurship for students who end up starting their own companies). 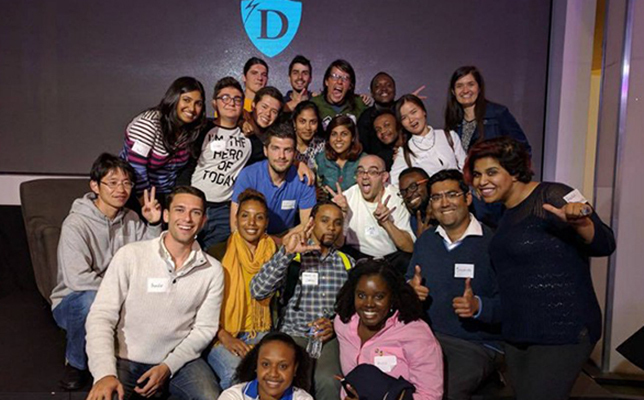 Selected ASU students will stay at Draper University (DU) in San Mateo, CA, a self-described boarding school for entrepreneurs that was founded by venture capitalist Tim Draper of DFJ, Draper Associates and Draper Venture Network. "We are thrilled to be working with ASU," Tim Draper said in news release. "Our program will be enhanced by ASU's full curriculum. Because of ASU, more and more students will learn the challenges and excitement of starting a business." Modeled after DU’s Hero Incubator program, the Semester in Silicon Valley will give students the knowledge and skills needed to launch and grow their own startups. Participants will learn “new methods in finance (Bitcoin), design (graphic), coding (webflow), marketing (viral, growth hacking), manufacturing (IoT, 3D printing) and direct sales,” according to an ASU press release. Students will also receive professional development training from Silicon Valley tech companies; attend lectures led by business and tech icons; and participate in hack-a-thons. At the end of the program, participants will have a chance to raise investment capital for their newly launched startups. They will pitch their ideas to 80-plus Silicon Valley venture capitalists in attendance at the end of the program. Past startups at DU have raised more than $200,000 through this demo day in the past. "Draper University is an innovator in real-world education and we are a highly ranked creative business school grounded in research," said Amy Hillman, dean of ASU’s W.P. Carey School of Business, in a press release. "Our students will have the best of both worlds and they will emerge from the experience stronger and better prepared for the modern economy."